An Indiana man has been charged in a fatal crash Thursday night on North Lake Shore Drive near Hollywood. CHICAGO (WLS) -- An Indiana man has been charged in a fatal crash Thursday night on North Lake Shore Drive near Hollywood. 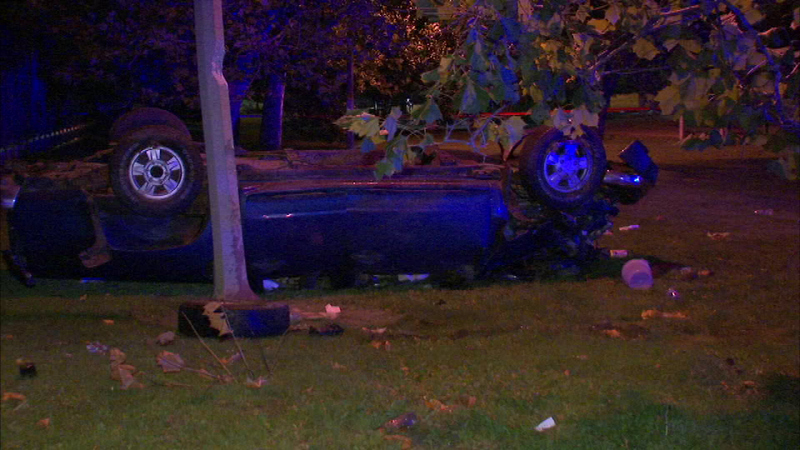 Police say 33-year old Christopher Peacock of Griffith, Ind., was speeding when his vehicle struck a utility pole and flipped in the 5700-block of North Lake Shore Drive in Chicago's Uptown neighborhood. Peacock was taken to the hospital with non-life threatening injuries. A 33-year-old woman was killed. Peacock is charged with reckless homicide.